Lessons — Allora Pasta Co. Hands on Lessons with Allora Pasta Co. Learn to make authentic Italian pasta just as I did during my time in Italy. The perfect way to impress a date or to spice up the weekly dinner routine! This is a hands on lesson with owner, Cameo Fucci. 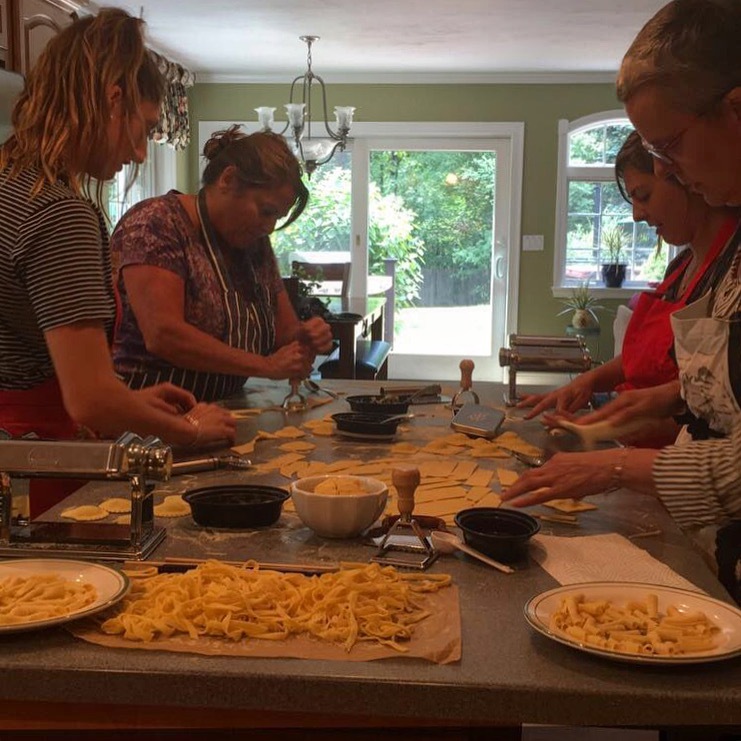 During this two hour course you will learn to make four different types of pasta including the art of the ravioli. Choose a sauce to accompany the dish and enjoy a mouth watering lunch with your very own beautiful handcrafted pasta! Any leftover pasta is yours to take home and share with your family. Classes can be scheduled Tuesday and Wednesday between 11am and 7pm. Contact here to learn more about Allora Pasta Co. and to schedule a lesson!